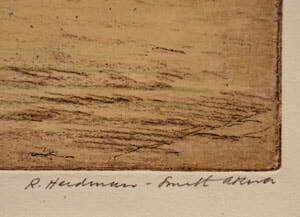 Herdman-Smith was born in Liverpool and studied at Leeds, London, Paris, Antwerp and Munich. He exhibited at the Royal Academy and at the Paris Salon. Herdman-Smith travelled extensively on the continent and to Asia. He was Director of the School of Art, Canterbury, New Zealand. By 1930 he was living in Wareham, Dorset.